The singer teamed up with W Hotels to drop the new track. Mike Hadreas, who performs as tender pop act Perfume Genius, is premiering on The FADER today a stunning, and stripped-down rework of No Shape closing track, "Alan." 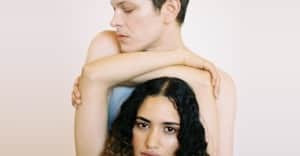 Released in collaboration with W Hotels, the track and all of its streaming proceeds will go toward Immigration Equality, a nonprofit organization supporting LGBTQ immigrants seeking asylum in the U.S. In the rework, Hadreas reassuringly sings over sparse orchestral strings, "Rest easy, I'm here." The song was originally written for his partner of nine years, Alan Wyffels, and is one of comfort, endless love, and care. It does the same thing here, but magnified; becoming a heart-baring anthem for safety and refuge. Thumbnail by Inez & Vinoodh.